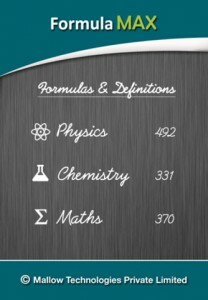 Physics Chemistry Maths Formulas - Formula MAX iPhone App Review. 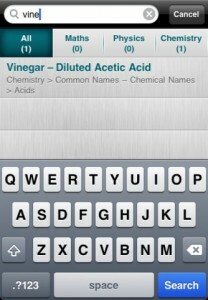 Obviously, the main concern for any app that relies on such a big database is organization. 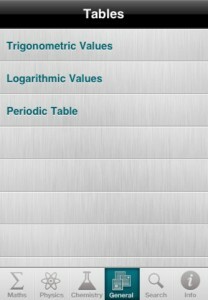 But the way information is structured, classified and organized in Formula MAX puts such concerns to rest. The first level of organization is by topic (math, physics or chemistry), and then every topic is carefully organized into chapters that make information that much easier to locate for each topic. 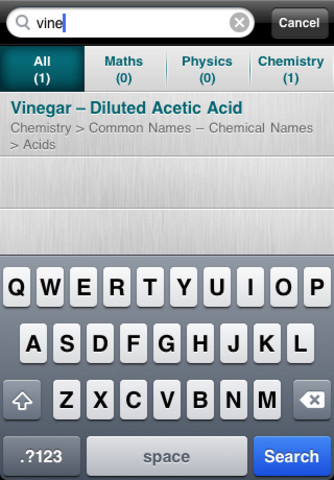 The search function, although a bit lagging (understandable given the huge database), is extremely precise in locating the piece of information you need. 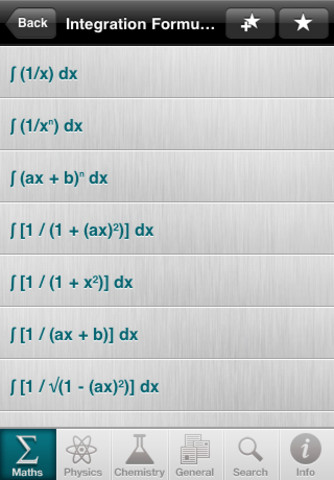 The Math topics covered include Algebra, Analytical geometry, Complex numbers, Differential calculus, Geometry, Integral calculus, Matrices, Statistics, Trigonometry or Vector algebra. For Physics, you’ll be able to look up formulas and theorems in Atomic physics, Dynamics of Rotational motion, Electricity, Electromagnetic induction and Altering current, Electronics, Gravitation & space science, Light, Magnetism, Mechanics, Nuclear physics, or Relativity. 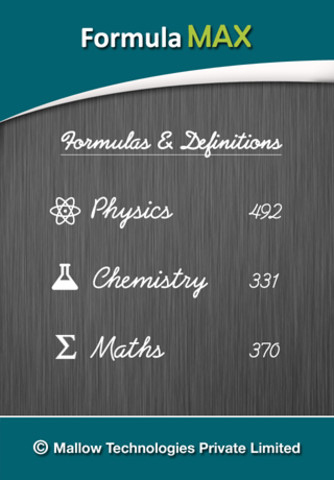 Chemistry students can rest assured they’re covered as well when it comes to Atomic structure, Chemical bonding, Organic chemistry, Periodic classification, Physical chemistry and States of matter. 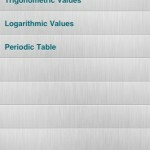 In addition to the theoretical part of the app, Formula MAX features three other components that will aid students in each of the three topics: a trigonometric value calculator, a logarithmic value calculator and a periodic table with details about all the elements. If you’re a college student or otherwise a Math/Physics/Chemistry whiz, you’ll love everything about Formula MAX. There’s not much use for it if you’re not bumping into these things on a daily basis though. What do you think of Formula MAX ? Scroll down for our comment section and let us know!